This craft is very easy and only cost me a total of $9 to make. The supplies will also last you long enough to make several jars! Silk flowers – I got these on sale for $5 at Michael’s. I bought them in a set, but feel free to experiment with different flowers and colors! 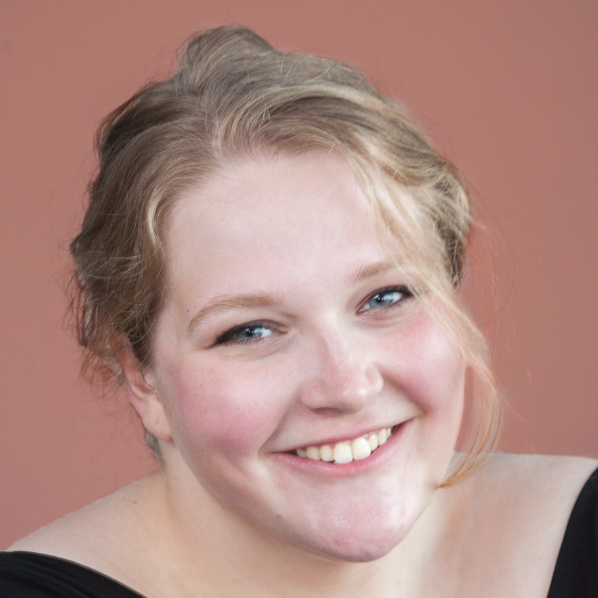 Foam brush – 1″ works best for this, but any will do! I bought this one for $0.49 at Michael’s a few weeks ago. 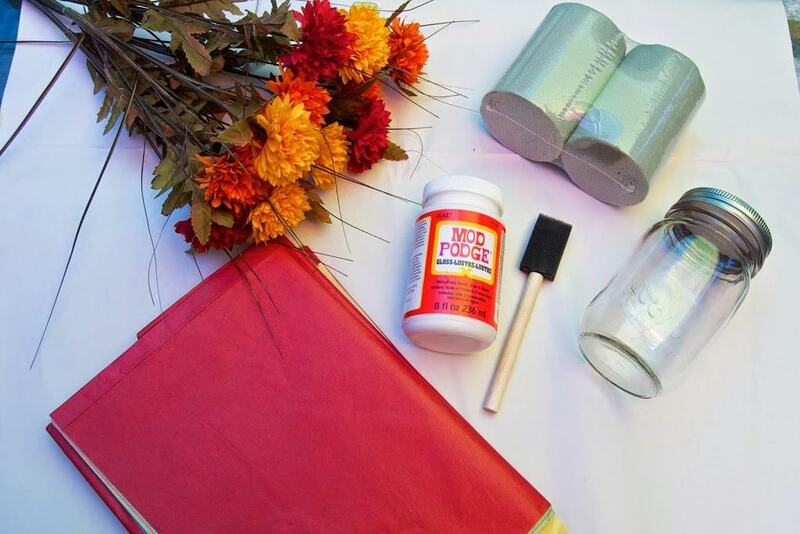 Mod Podge – This super-popular decoupage glue can run a bit expensive (about $7 for an 8oz jar), so in a bind, you can mix kid’s craft glue (e.g. Elmer’s) and water at a 1-to-1 ratio instead. Just make sure it has a gluey, not watery, consistency! Tissue paper – I tend to have tissue paper lying around for my Etsy shop, but if you don’t have any, you can buy a big package for about $5 at your local craft store. 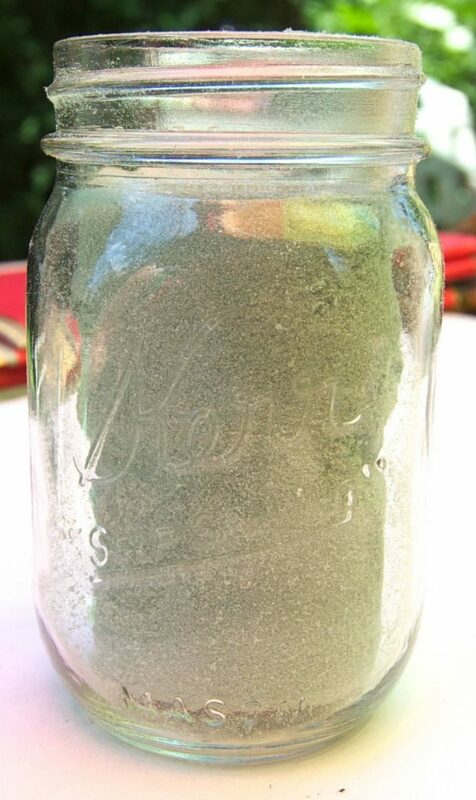 Flower foam – Buy the size that will fit in your Mason jar; I got a pack of two for $3.50! 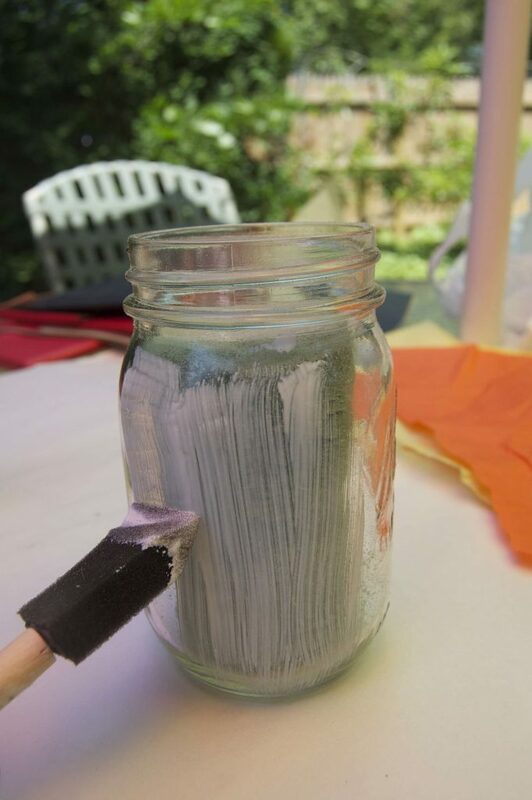 The first thing I did was fit the flower foam in the mason jar before it became sticky with glue. As the mouth of the jar was slightly narrower than the jar itself, I had to shave my foam down a little by hand – luckily, that’s easy to do with a little rubbing! 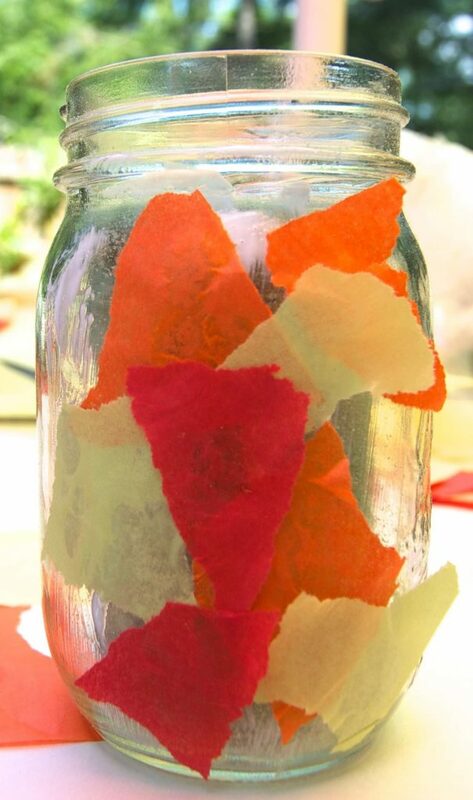 It’s okay if the foam is a little loose in the jar; the flowers will fill the space and hold it in place later. Next, rip the tissue paper into lots of pieces of different sizes. 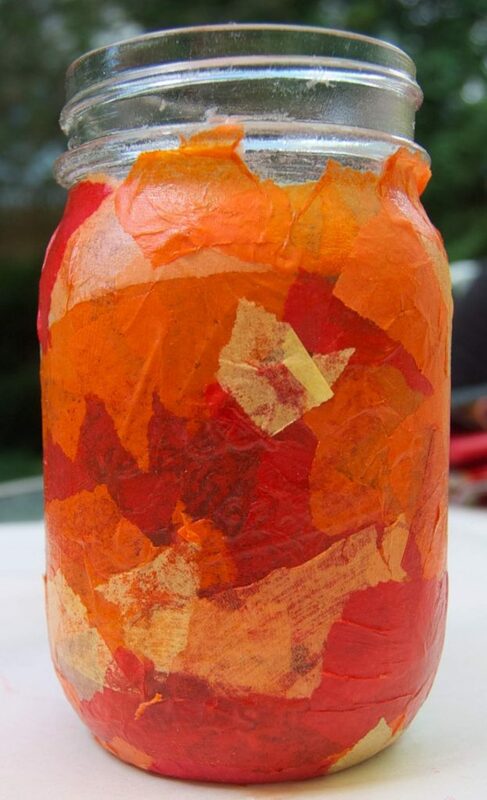 It’s fun to use many different colors, and don’t be afraid to be messy; the more random the size and shape of the pieces, the cooler and more interesting the jar will look later. The next step is decoupage. 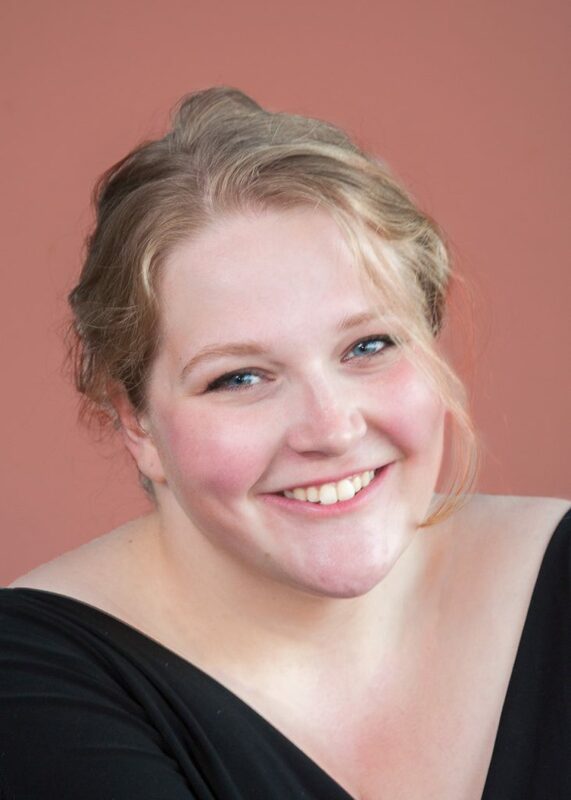 While it may sound daunting, this step is super easy! 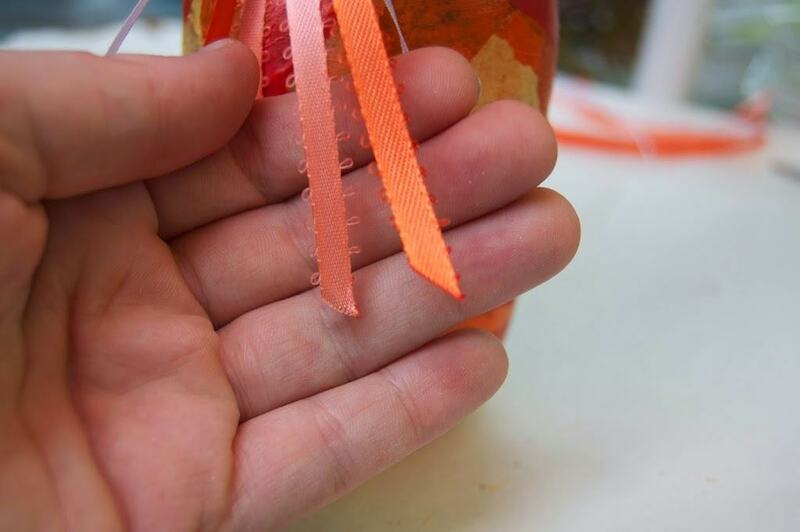 Using the foam brush, spread some glue over a section of the jar. Add the tissue paper pieces on, and tap them down with your finger. Don’t be afraid to let them overlap! Start with the larger pieces, and use the smaller pieces to layer over them later. After you “tap” the pieces down with your finger, dip the foam brush in the Mod Podge (or decoupage glue) and run it over the tissue paper again. This will glue them down and allow you to layer new pieces on top. 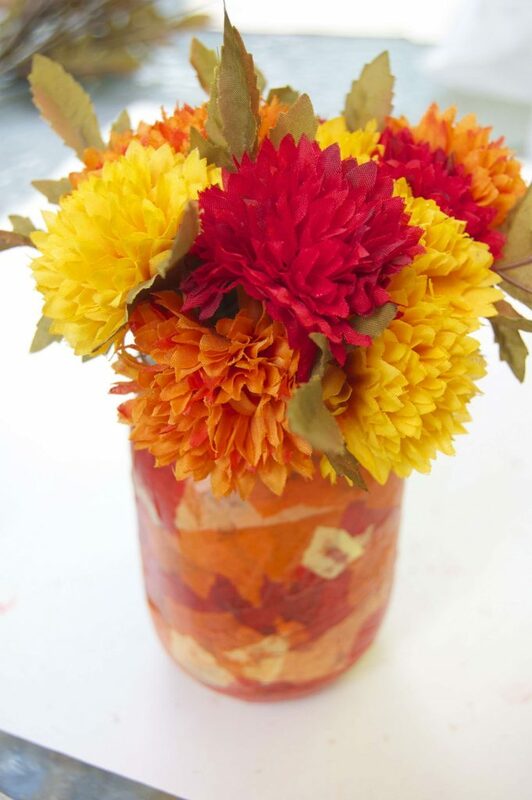 Add more layers of tissue paper and repeat these steps for the whole jar until you’re happy with the look! 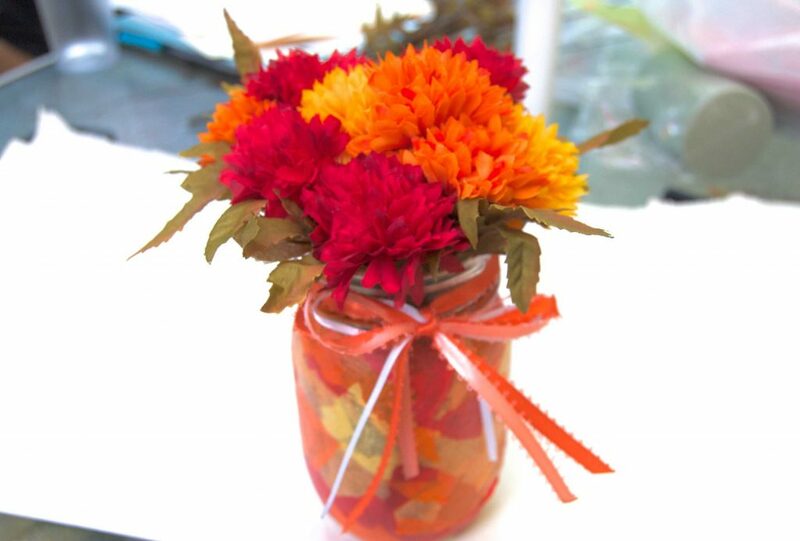 Next, it’s time to begin inserting flowers into the jar. For this, you will need something to snip the flowers with! 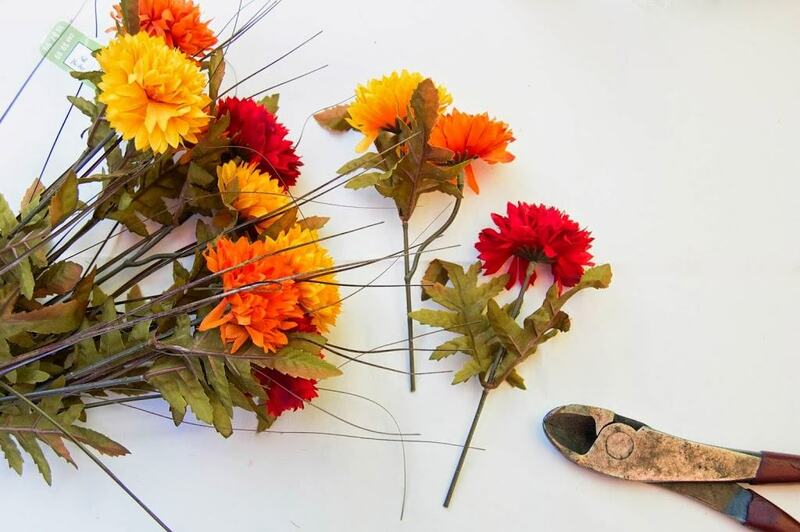 Using a wire cutter, cut the stems from their bundles with about 3-4″ of stem remaining per flower. Stick these stems into the foam. Experiment with the height of and angle of the flowers, with those in the middle sticking up slightly higher than those along the edges. Now it’s time to add some extras, like ribbon trim. 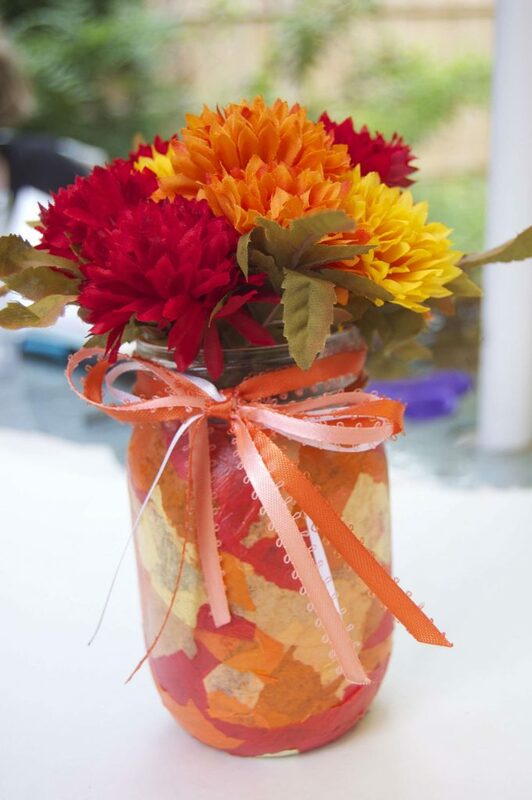 I used some extra ribbon in coordinating colors to tie around the mouth of the jar. 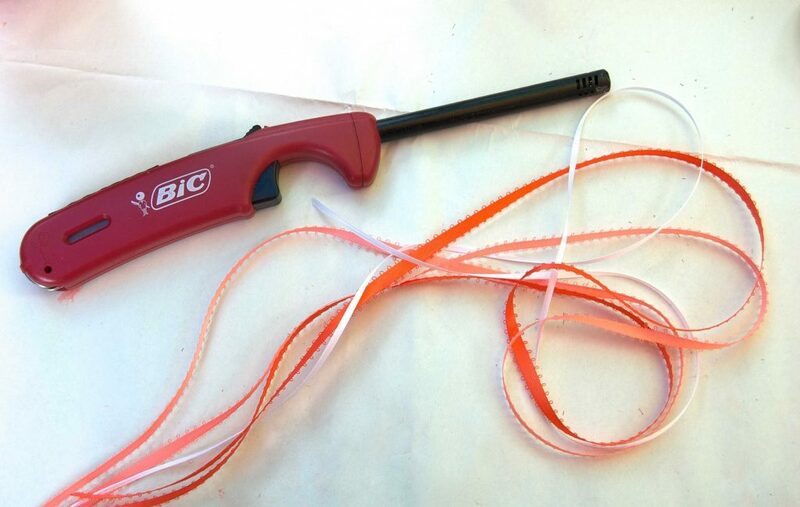 Using a match or lighter, you can hem the ribbon’s edges so they don’t fray later. That’s it! In total, this project took me around an hour (excluding the time it took for the glue to dry) and I’m so happy with how it turned out! I hope you like it too! What a fun craft – I will have to share with my sister to do with her kids! so fun! I love how it turned out! That’s a fun craft to do with my nieces! So pretty and easy to make! 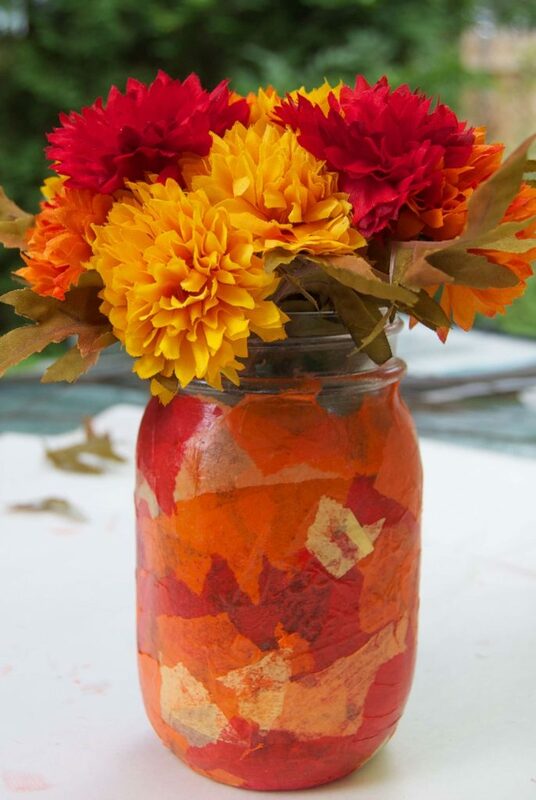 This would be a great centerpiece for a fall gathering. This is so cute! I always have flowers out so I must try this!